In his first appearance on WWE programming since losing to Brock Lesnar at WrestleMania 30, The Undertaker got back to his winning ways on the grandest stage of them all by knocking off Bray Wyatt at WrestleMania 31. 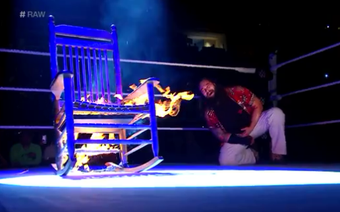 The finishing sequence of the match began when Wyatt was doing his trademark spider walk. The Undertaker then sat up, and the two locked eyes in a cool moment. Wyatt then proceeded to pound 'Taker down before setting up for Sister Abigail. However, The Undertaker countered out and hit a massive Tombstone Piledriver for the victory. During the weeks leading up to WWE Fastlane, The Eater of Worlds cut a number of cryptic promos that were presumably in reference to The Undertaker. He ended all doubt at the pay-per-view, though, by coming to the ring in a casket and calling out Taker by name. 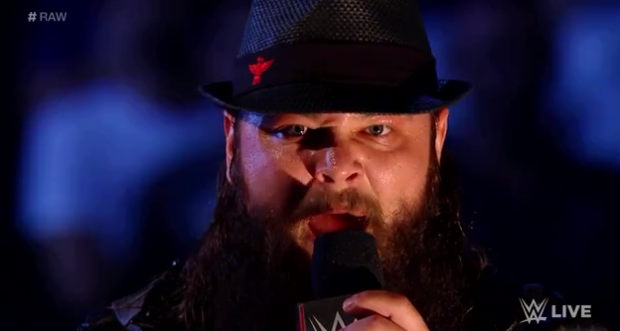 Wyatt continued to poke and prod The Undertaker on the microphone until he finally got the answer he desired. That led to the self-proclaimed New Face of Fear shifting his focus toward his motives for bringing The Deadman back from purgatory. Unfortunately for Wyatt, The Phenom proved at WrestleMania that he still has something left in the tank as he recorded his 22nd career win at the Showcase of Immortals. With Taker's victory, there is reason to wonder if a match against Sting at WrestleMania 32 in Arlington, Texas, could be in the cards. It would certainly make sense for The Undertaker to go out in his home state, and there is no doubt that a bout with Sting is a dream contest for many wrestling fans. Having The Undertaker beat Wyatt shows that he isn't done despite what happened at WrestleMania 30, and it sets the stage for a very interesting year ahead. As for Wyatt, some might argue that losing to The Undertaker slows his progress, but the simple fact that he got into the ring with The Deadman at WrestleMania is a significant step. Wyatt also gained some valuable experience leading up to WrestleMania, as he was tasked with selling the entire program on the mic due to the fact that Taker never appeared until the event itself. 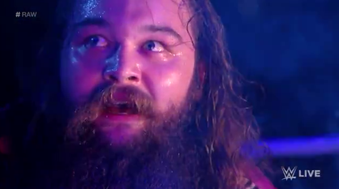 There is such a thing as being elevated in defeat, and that certainly seems to be the case with Wyatt. Add in the fact that Taker needed to get back on track to set up a potential match for the ages at WrestleMania 32, and it is tough to argue with WWE's decision.